Needless to say this is a very special feature to share. 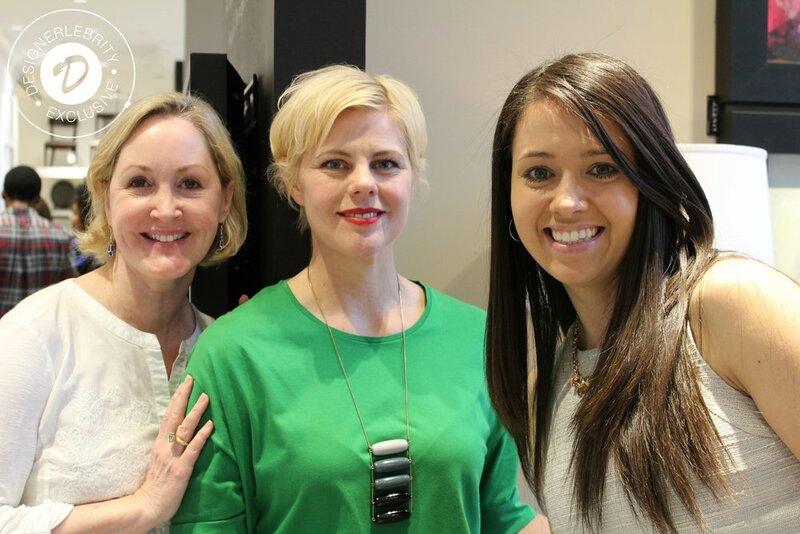 On Wednesday night on May 17th, the Ethan Allen flatiron store opened their doors and gave Designerlebrity its first event spotlight. After launching the Designerlebrity website just shy of six months ago, it was an honor to be welcomed so generously by the amazing Ethan Allen team. The event was to introduce Designerlebrity and its site's most popular platform categories to a few thousand people! Yup, thanks to all who attended and a record breaking Facebook LIVE feed via Tastefully Inspired, Designerlebrity was able to say hello and thank you for noticing. Now let's get the word out! I love a good interview. Makes me miss my old talk show days when I got to ask the questions and spotlight the celebrity side of an interior designer. That's the purpose of Designerlebrity. It's to give a news media platform specifically focused on celebrity interior designers in an informative but always entertaining fashion. Just the same as the platforms we follow for other celebrity driven industries, like film, fashion, music; etc., it's the designer that puts the celebrity into Designerlebrity. To moderate and make clear of what Designerlebrity's purpose is had to be put into the hands of what I thought would be a great moderator for such an event. That mic and control went to A Well-Designed Business podcast host, LuAnn Nigara. She is like the "Larry King" of the interior design industry and did a fabulous job interviewing us all. HAUTE TOPICS: Mikel Welch of Mikel Welch Designs, who worked directly with Steve Harvey, one of the hottest topics spoken on television, to talk about the infamous "memo to staff". Mikel broke it down and shared his honest point of view from knowing Mr. Harvey on a personal level to enjoying his current set design work on Harry Connick Jr.'s talk show, HARRY. 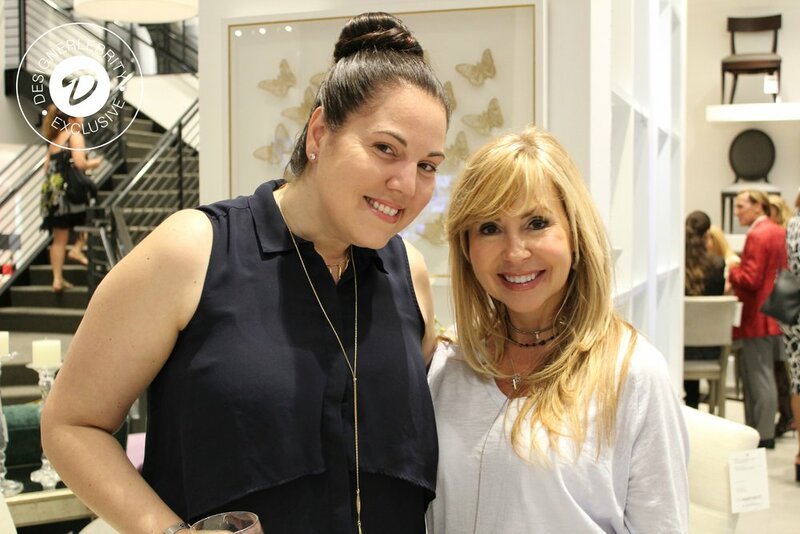 DESIGNERLEBRITY TALK: Cheryl Eisen of Interior Marketing Group, shared highlights and celebrity spotlights working with bravolebrities, Fredrik Eklund and Bethenny Frankel. How building her multi-million dollar empire took more than just hard work and how she dominates NYC's competitive interior design and staging world by completing "Million Dollar Listings" in just 12 days. 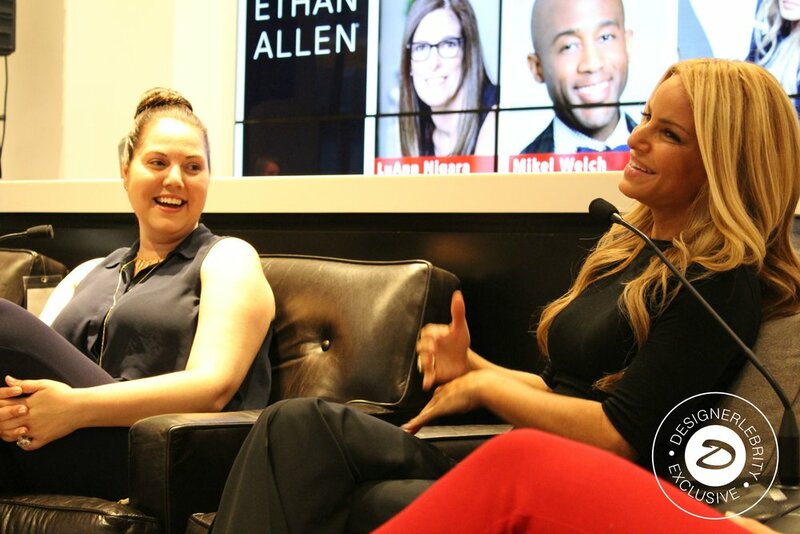 THE POTENTIALS: Manuella Moreira, designer at Ethan Allen Flatiron location, talked about creating a niche for herself as a designer to be taken seriously and her passion to create more than just great interiors for her clients but a home infused with their personalities. I am humbly thankful and grateful to the fabulous people mentioned above and thrilled Ethan Allen kicked off the first of many Designerlebrity events to come. It's about time the interior design industry gets its own Hollywood Reporter and Designerlebrity is here to make that happen! THANK YOU TO ALL WHO ATTENDED, pRESS THAT COVERED & EVERYONE THAT WATCHED ON FACEBOOK! SPONSORS & PRESS SHOUTOUTS: Ethan Allen Marketing Team, Argo Tea, Tastefully Inspired, A Well-Designed Business podcast, Design Campus, HudsonMod Magazine & DVD Interior Design Blog. Checkout Tastefully Inspired Full Video Recap Of The Event Below!